Ian Copelin, Investment Director comments ‘Its Emmanuel Macron (a pro-Europe, centrist) versus Marine Le Pen (right-wing, anti-euro) in the second round of the French Presidential elections in two weeks’ time (Sunday 7 May 2017). 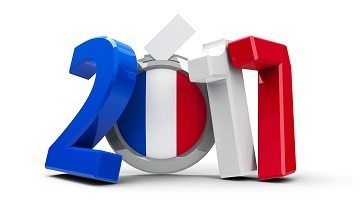 The result is a relief to markets, boosting both equity markets and the euro as Emmanuel Macron is expected to overwhelmingly win the second round (polls currently show Emmanuel Macron beating Marine Le Pen 62%-38% on 7 May 2017). The CAC-40 has this morning opened up over 4% higher, while the euro has strengthened nearly 2% against the US dollar at $1.09 – the highest since last November. I have to admit that I have never seen a French Presidential election like this. Not only will both of the two main political parties (the Republicans and Socialists) be absent from the second round for the first time, but Benoît Hamon, the Socialist candidate (the party in power now) got just 6.3% of the vote! There were 11 candidates contesting the first round of the French Presidential elections and thanks to a late surge by Jean-Luc Mélenchon (left wing, against globalisation), it was a close four-person race between himself, Emmanuel Macron, Marine Le Pen and François Fillon (a former centre-right Prime Minster – and who was, until January, seen as the man to beat). Adding to the uncertainty was the fact that, according to recent opinion polls, nearly one-third of voters were undecided– and had both Marine Le-Pen and Jean-Luc Mélenchon made it through to the second round, it would have been the market’s nightmare scenario. Fascinatingly, they got a combined 41% of the vote – highlighting the depth of the anti-establishment sentiment in one of the founding members of the European Union.